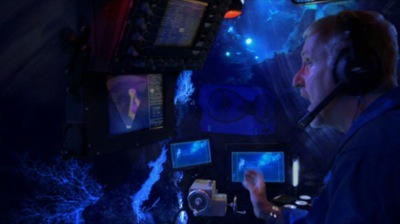 Who knew that James Cameron, the director of the Alien films and Titanic, was a hopeless science nerd and submarine groupie? 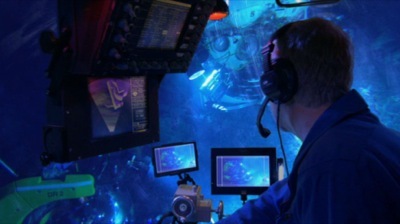 Cameron uses his extensive resources to hire four cute mini-submersibles, staffs them with good looking astronauts and exobiologists, and then sets off to explore the bottom of the ocean as if it were another planet. And it is! 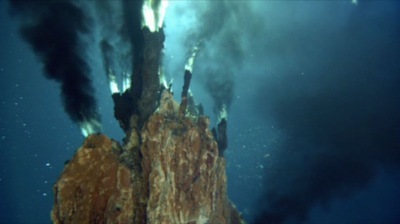 There is a weird world down there, entirely separate from the solar powered ecosystems on the rest of the planet. 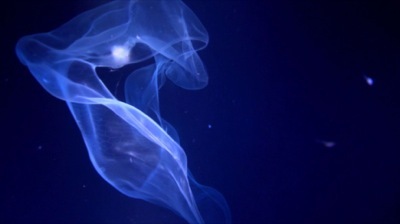 In the oceanic deep, this alien world is chemically- and heat-powered, which makes for very bizarre creatures, seen up close and personal. Cameron makes the controversial case that archaic life may have begun in this non-solar environment first and then later migrated to the lighted world. 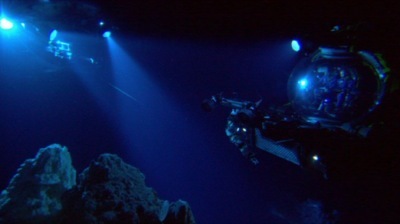 The drama of surviving bone-crushing deep dives is just a rehearsal for future expeditions to the other moons in our solar system that may have water and underwater alien life. 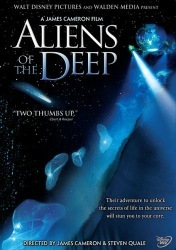 The science is well done, very engaging, and very imaginative. It’s done with such impeccable Hollywood filmwork that it feels like a science fiction film. Be sure to watch the extended, and not the short IMAX, version. this is really cool i wish i could see this in person cause i think it would be super fun.